These Chews are an innovative oral motor device designed to provide a resilient, non-food, chewable surface for practicing biting and chewing skills for children and adults. Intended for individual use, The Chews are non-toxic, latex free and lead free. In addition they do not contain PVC or phthalates. They are a delightful oral motor tool designed to provide positive oral stimulation for practicing biting and chewing skills. It features a closed loop handle which is easily grasped by little fingers. The solid one-piece construction of these Chews provides a durable and resilient surface for chewing. 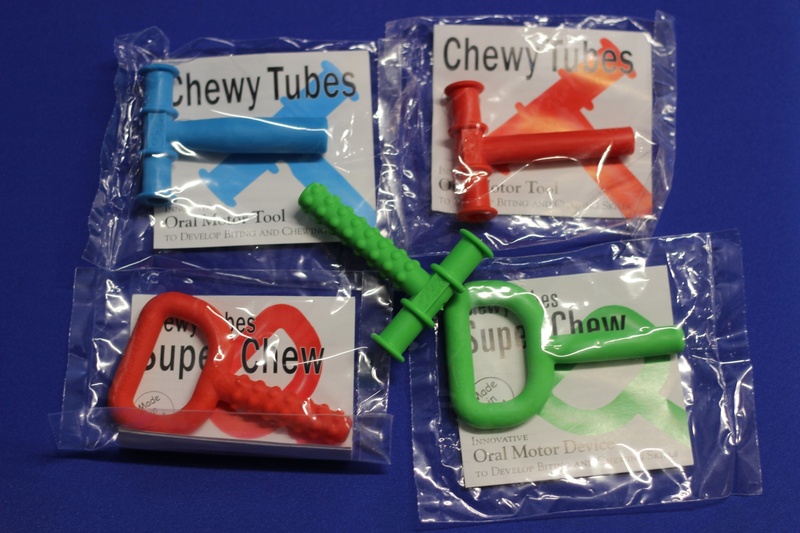 Chewy Tubes has no latex, no lead, BPA, PVC or Phthalates. It is functional, attachable and dishwasher safe. The Chewy Tubes are chewable but will eventually succumb to wear and tear. Check the Chewy Tubes regularly for signs of damage and replace if necessary.